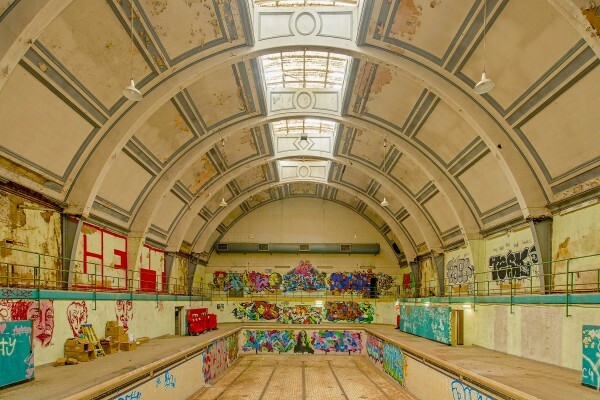 THE PEOPLE’S POOL that was once Haggerston Baths is doomed. 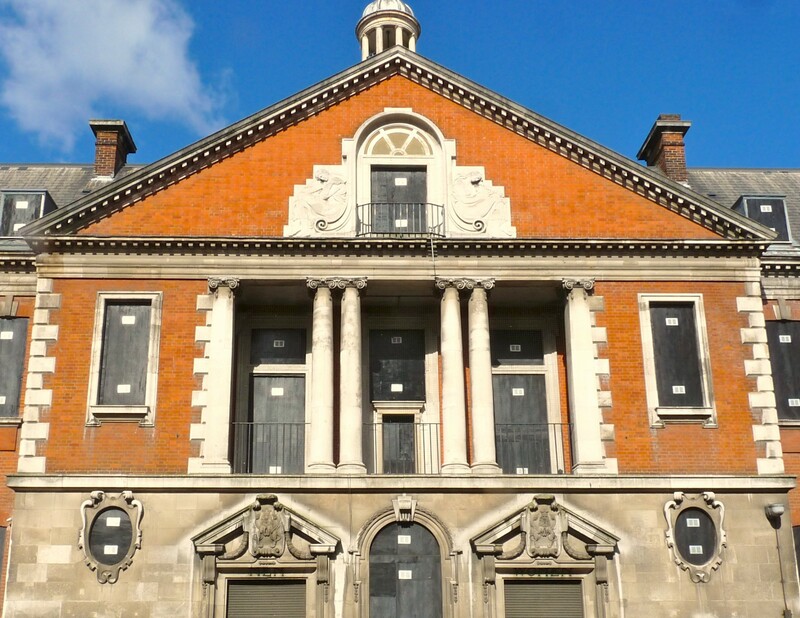 Hackney council has given up any pretence that it might one day reopen the Grade II listed 1903 building and is instead selling it. The Victorian Society has told Loving Dalston that it supports the council’s decision to sell the bijou bath-house in Whiston Road E2 8BA. The council says restoration would cost more than £25 million. So it has chosen the property division of a French bank and it is, in the cold terminology of City people, “seeking expressions of interest” in a 250-year lease. A pool supporters’ petition, now closed, attracted 1,648 supporters. 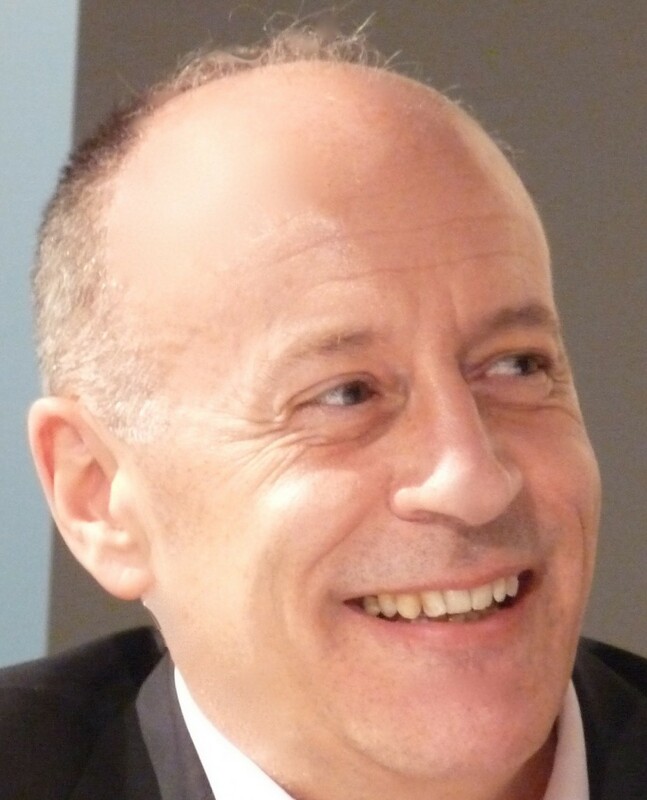 A Hackney press statement attributed to Mayor Jules Pipe but reading as if from a weeping crocodile says: “We would love to be able to invest in the building but unfortunately, with ever-shrinking resources, we simply cannot prioritise this project. Loving Dalston was unable to get the council to rule out the possibility of the complex’s conversion to flats or a nightclub. case Hackney council should ensure public access to the pool. Hackney has a bad record with swimming facilities. Its replacement of Clissold Baths led to a flurry of lawsuits and a huge loss for taxpayers and its closure of the lido lasted years before public pressure finally told. Once “the Haggy” was locally famed for its women-only, gays and ethnically specific swimming sessions. Now its interior has been ruined by the vandal’s spray can, as the council-supplied picture, above left, shows, prompting supporters to wonder what is the point of the £100,000 a year the council claims to pay for security and maintenance. Hackney closed Haggerston Baths in 2000. Locals fear the Britannia Leisure Centre at N1 5JU may be next. Thanks, David, such a shame. I lived in Queensbridge Court, Kent Street, off Queensbridge Estate. Such good memories of Haggerston Baths. You and me and many others, Maxine. Heartbreaking. Press this link for the latest news. – Ed. Maxine, I worked there in the early 1980s with your brother Peter, also Gordon and Shane (who is getting married next week). I left London years ago but it is such a shame this pool is shut. I have heard a wee bit of encouraging news which, if I can stand it up, as we hacks say, will be published this week. – Ed. Likewise, like Maxine, me and my sisters and friends spent many hours each week here. We all learnt to swim and we attended galas. Along with the washing side, Haggerston Baths is a great building with lovely memories. Saying that, it’s time for change. Hackney council is skint so there is no chance of them finding the money. Even if they did, the baths would lose money and then close down again. If they sell it, I hope it’s listed and that all features remain. But the obvious solution is to create homes. Do a deal with a developer to create starter homes on a 50/50 share. I would love to see it stay as a pool, but if something doesn’t get done, someone might just wreck or, worse set fire too it, then it’s lost for ever. Embrace change and the building will live on. Can’t believe they want to sell Haggy baths. I lived in Queensbridge Crt – was born there, have kids. My Mum and Dad lived there 63 years. We spent every day after school and holidays in the swimming club. My brother, Peter, was a lifeguard there for many years. This building has so much history to it.sad it would be to lose it. Like so many great landmarks, it needs to be saved. I will help in any way. So, please, Hackney council think long and hard. We lost our great primary school in Laburnum Street, where I went, so please think on about this very dear building and old friend.